Compact popcorn popper - 8 oz kettle - 8 amps/120 volts. 31" tall x 19" wide x 17" deep. After warm-up, popper has a short 3 minute popping cycle. - NOTE: 8 oz portion pack of popcorn fills approximately (8) - 10 inch popcorn bags. 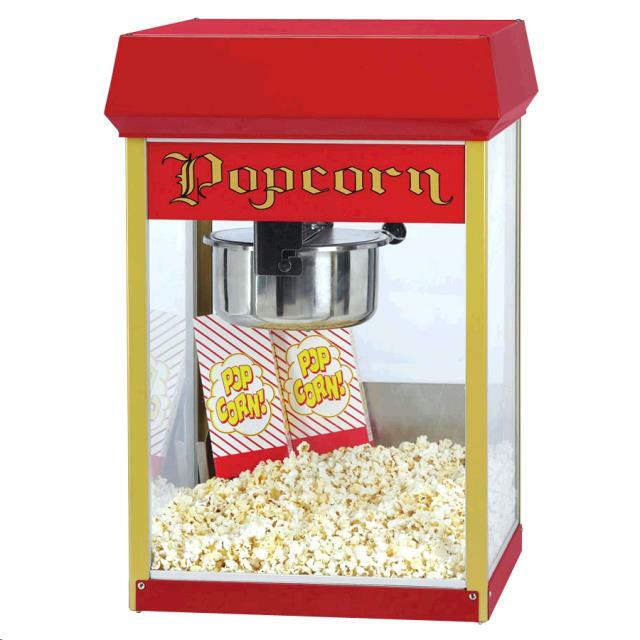 * Please call us with any questions about our popcorn machine 8 oz kettle in Oak Grove MO, Blue Springs MO, Independence MO, Lexington MO, Odessa MO, Independence MO and Western Missouri.